If you know about estate planning, you know that it is a great strategy for preparing for what happens to your assets after your death. It can also be used to prepare for incapacity when you will need someone to help you manage your affairs while you are still alive. If you plan ahead, with the help of experienced estate planning attorneys, then you will have the opportunity to control how your estate is distributed, as well as take steps to reduce or eliminate your estate taxes. However, a common concern that many clients have is whether they can keep the details of their estate plan private. Here is what you need to know. In order to understand the privacy limits of estate planning, you should understand the basic goals of estate planning. One purpose of estate planning is to determine how your estate should be handled after your death. The will, which is your written instruction for distributing your property at death, is the most common tool used in estate planning. You can also use a will to identify your chosen guardian for any minor children that may survive you. However, a will must go through the very public probate process in order for your property to be distributed pursuant to that will. Planning for incapacity is another goal of estate planning. Incapacity is caused by a medical condition or injury and can be quite unexpected. Incapacity can also be only temporary. In order for someone to be deemed incapacitated, it must be determined that you can no longer handle your own affairs without assistance. For some, this can mean that it has become difficult or even impossible for you to make your own decisions appropriately. If your estate plan does not include provisions for incapacity then a court may be required to formally appoint someone to take over your affairs. Privacy in estate planning is a common concern for most clients. Most people do not desire to let everyone know the nature of their property or the identity of the people they choose to leave that property to. 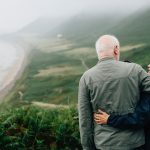 Luckily, there are several different strategies in estate planning that you can use to customize your plan in a way that keeps your affairs as private as you choose. However, to keep your plan truly private, you need to create something other than a simple will because it automatically becomes public record when the probate estate is open after your death. Our estate planning attorneys can help you choose the appropriate strategies. Before an estate can be distributed to heirs and beneficiaries, the will must go through probate, which is a completely public court process. The will itself, the actual document, is filed with the probate court making it a public record. When the will is probated, all of its provisions are made public, including the identity of your heirs and beneficiaries and the nature and amount of your assets and debts. Indeed, anyone can come to the probate court and ask for a copy of your will. What can I use to maintain my privacy in estate planning? You may want to consider including a revocable trust in your estate plan. One of the benefits of a revocable trust is that it is a private document – an agreement between you and your selected trustee. If you create a revocable living trust, you will be able to retain control over the trust and the trust property during your lifetime. That means you will still have the power to make decisions regarding investment of the trust assets. If your estate planning attorneys draft your trust correctly, it can allow for a successor trustee to take over management of the trust property if you become incapacitated or at your death. Your successor trustee will then be expected to follow the terms of your trust and distribute your property accordingly. Estate planning attorneys are experienced at giving advice to ensure your estate plan meets all of your needs, including the need to keep your estate private. Even if privacy is not a major concern for you, it is wise to consult with an attorney because this area of the law usually involves drafting complex legal documents. 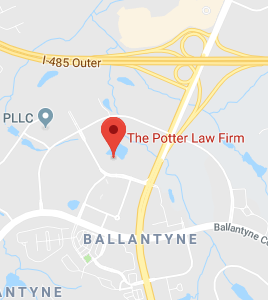 If you have questions regarding privacy and estate planning, please contact the experienced attorneys at The Potter Law Firm for a consultation. You can contact us either online or by calling us at (704) 944-3245 or for individuals in Kentucky at (606) 324-5516 (Ashland, KY) or at (859) 372-6655 (Florence, KY).